Since the recent debate at Caltech on the Future of God , many productive conversations have emerged and developed. During the debate I was often criticized for bringing quantum physics into the discussion of consciousness. Moderator: What is it about Deepak's use of quantum physics that bothers you? Chopra: I happen to disagree by the way. Mlodinow: I assume you did since you said that. Chopra: I think consciousness is nonlocal. Mlodinow: You know, I have never really come across a definition of consciousness that I understood, so maybe you can teach me something. Chopra: a field, a superposition of possibilities. 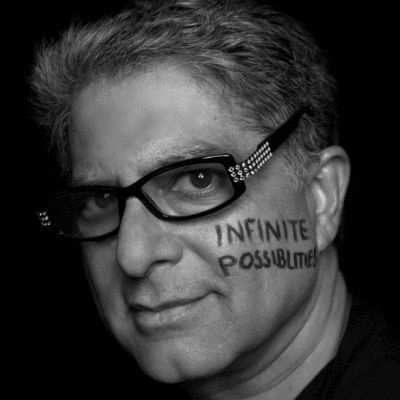 Chopra: Right now, I'm speaking to a conscious being. Since the debate, Leonard Mlodinow and I have corresponded at length about these ideas and have even become good friends. We are considering a collaborative work on these ideas. After the debate, looking more deeply into the theories of Penrose on quantum physics and consciousness, I have had the pleasure of getting to know Dr. Stuart Hameroff, of quantumconsciousness.org, who has worked extensively with Penrose in developing the Orchestrated Objective Reduction (ORCH-OR) theory of consciousness. I interviewed Dr. Hameroff last week on my radio show Sirius/XM 102. I will publish that interview as soon as the transcripts are complete. Meanwhile, here is a segment of an email from Stuart about the relationship of quantum physics and consciousness that suggests I was not wrong in my understanding of Penrose's theories, or that Penrose isn't a credible physicist. 1) Penrose-Hameroff quantum theory of consciousness includes Penrose who was Stephen Hawkings thesis adviser. 2) The ORCH-OR definition of consciousness is a self-collapse of the wave function, including superposition and non-local entanglement. 3) Reductionists say near death and out-of-body experiences can be induced by brain stimulation. This is not true. What those experiments show is a distortion of body perception which is nothing like the consistent reports of calm, white light, tunnel, and floating. And other comments that such states are caused by hypoxia are similarly flawed because hypoxia causes agitation and confusion, not clarity and peacefulness. Your plans sound fantastic, I will do whatever I can to help. This is an exciting time in the development of the understanding of consciousness and the deepest knowledge of physics. I am delighted to be engaged in this discussion with such eminent minds.